AirPods 2 are finally here. What changed? Read more for a breakdown on AirPods vs AirPods 2 - price, colours, wireless charging and more. Is This Upgrade Worth it, Should I Wait for Airpods 2? Apple is dropping products left and right. First releasing a new version of the iPad, then a new iMac and now AirPods 2 all in the same week. You might look at the new earphones and think, “They look exactly like the ones I spent a lot of money on, what is the difference?” Well, there are a number of changes so let’s dive in. The two models are different in price, chip and Qi wireless charging compatibility. The new product is not yet in stores at the moment. AirPods generation 2, will be available in Apple stores by the end of March. Online pre-orders however, are available and customers are receiving a delivery estimate between the 27th and 30th of March. This new launch from Apple offers customers three options with different prices. You can purchase the upgraded AirPods bundled with the wireless charging case at the price of $199. You can also purchase AirPods 2 at $159 without the wireless charging feature. Or you can spend $79 to buy the new case separately and use it with gen 1. To start off, all the features unique to the first generation of AirPods are still in the new one. For example, they are still the same comfortable fit, they automatically connect to your device, they still sync to iCloud which means they sync to your iPad, Apple Watch, iPhone and iMac. What has changed is the chip inside that powers it all. Apple used a W1 chip in the first gen. This chip is also used to power other devices like the Apple Watch. Gen 2 are now powered by a custom made chip, called H1. This chip has a custom build specific to headphones. So, using it leads to a few benefits from the jump. H1 gives a more stable sound quality and overall optimizes the use time for the product. For example, the new generation will give you three more hours of listening time in comparison to the first one. You should also be able to get 50% more talk time, which is significant if you’re one to enjoy calling your loved ones. They charge more quickly and efficiently and have a wider more stable range to connect to your devices. Another feature enabled by the H1 chip is hands free Siri. This release allows you to just say Hey Siri and connect to your phone without having to use your hands. This is really tapping into that futuristic vision of connecting to technology all around hands free. If you enjoy playing on your console from your couch, without having to purchase a special wireless headset, then you’re in luck. You can now use the AirPods practically all the time, as they are gaming compatible as well. The new generation gives you a real-time gaming experience as they provide at least 30% less latency. But the biggest difference between the old AirPods and the new ones is the fact that they can now charge wirelessly. Yes, the AirPods have finally joined the wireless charging family. 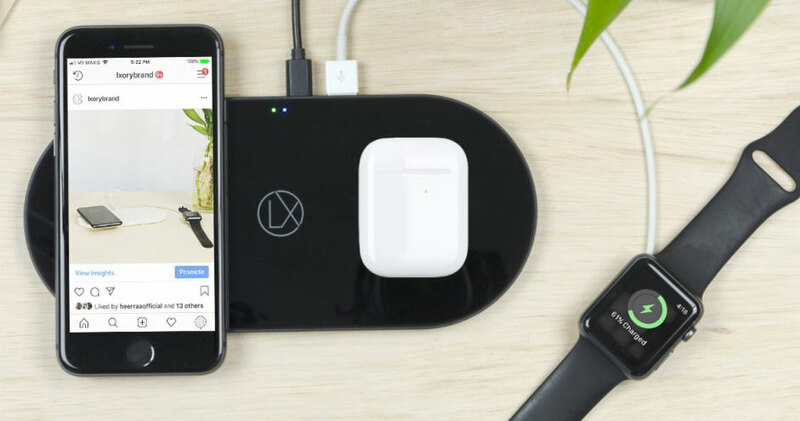 This product release comes with a wireless charging case that works on any Qi enabled charging pad. And what’s even better, is that you don’t need the new AirPods to use this. 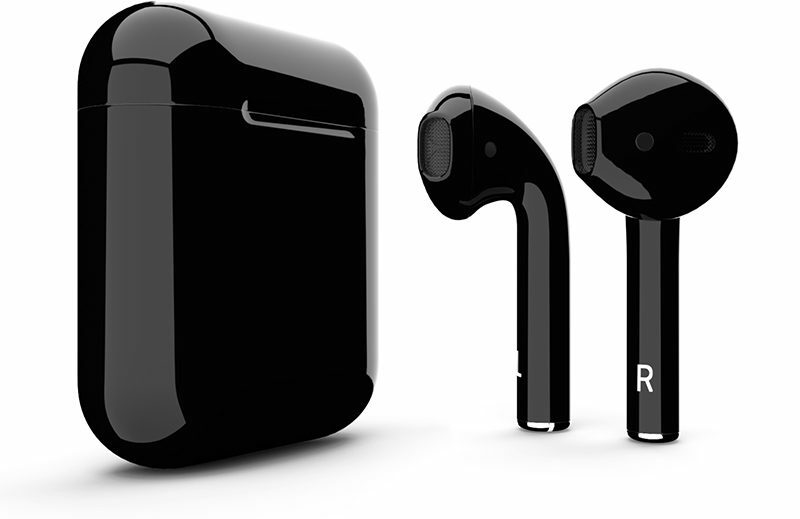 The Qi enabled cases are sold separately and are compatible with the first gen of AirPods. You can use any of our LXORY wireless charging products to charge the case. Just lay it down with your phone or Apple watch and pick it up in a few hours fully charged. Let’s lay these rumours to rest. AirPods 2 come in exactly the same colour and design as its predecessor. They don’t have the matt non-slip coating many were hoping for and they are not offered in black yet. At this point, we can only hope to find these features in a future AirPods 3 upgrade sometime down the line. Should I Wait for AirPods 2? On the outside, these new AirPods might look just like the first one but on the inside, they have a lot of features that set them apart. There is an overall number of changes that make them a clear winner over the first generation. But the best thing about this new launch, is that the choice is really up to you. 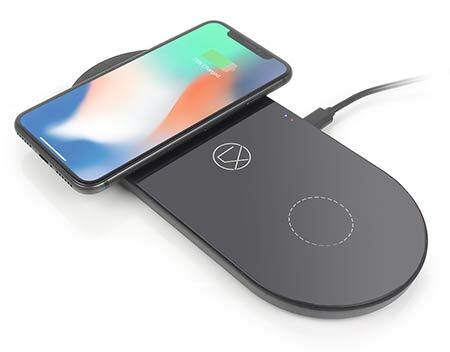 If you already own gen 1 that work well and you don’t find the new voice-active Siri all that enticing, you can still join the wireless charging club, by purchasing the case alone. Overall, this launch might not be the most extravagant in terms of looks or colour options, but the upgrade was necessary.